They have been hailed as being the most exciting gastronomic discovery in recent history. They are one of six citrus species native to Australia, yet they are totally different the others – both there and abroad. Nothing else on earth is like them. The Australian finger lime is an elongated fruit roughly the size of a human thumb, on average. Their skin is green, maroon, or any shade in-between. Hundreds of tiny juice-filled capsules are inside, which resemble caviar. 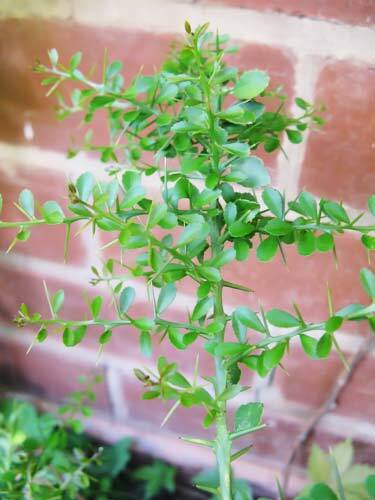 Native to the wild rainforests of Queensland and New South Wales, it’s an understory shrub – meaning it grows under the shade of the forest canopy. 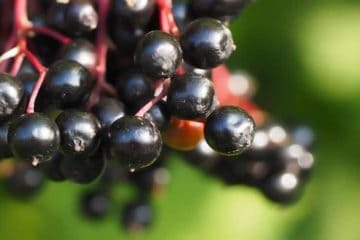 It’s so new, even the botanical name remains up for debate. 1. 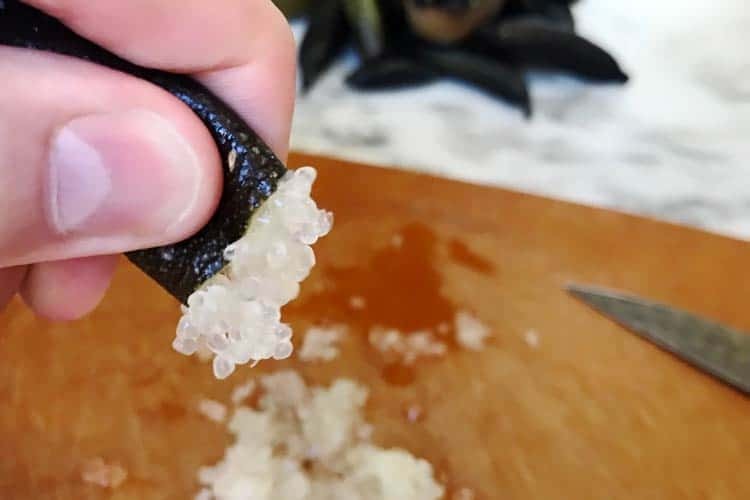 To open, cut the finger lime in half, not lengthwise. 2. 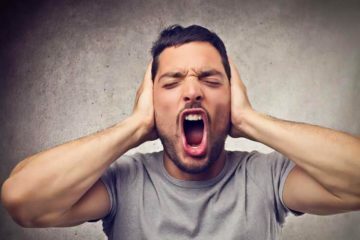 Squeeze out the pearls like you squeeze toothpaste out of a tube. 3. Eat them as a topping on another food, or mixed in with it. Unlike other citrus fruits which have stringy flesh, the inside of finger limes have juicy encapsulated pearls. When you bite into them, they explode in your mouth with a burst of lemon-lime flavored juice. 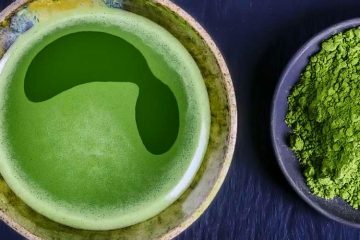 The green varieties are sour, while the pink taste sweeter. It’s not that the tart flavor is that unique, but rather that it’s completely isolated within the caviar-sized globes. 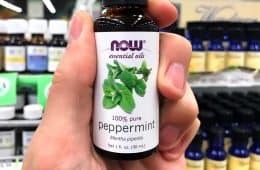 Both professional chefs and foodies alike can get creative with these little beads, by adding another layer of flavor to just about any dish. What to do with finger lime is far more diverse than the uses for lemon and lime juice. Because they’re enclosed balls of juice, their flavor won’t percolate throughout the rest of the food and overpower the other flavors. That means they work for both sweet and savory recipes. 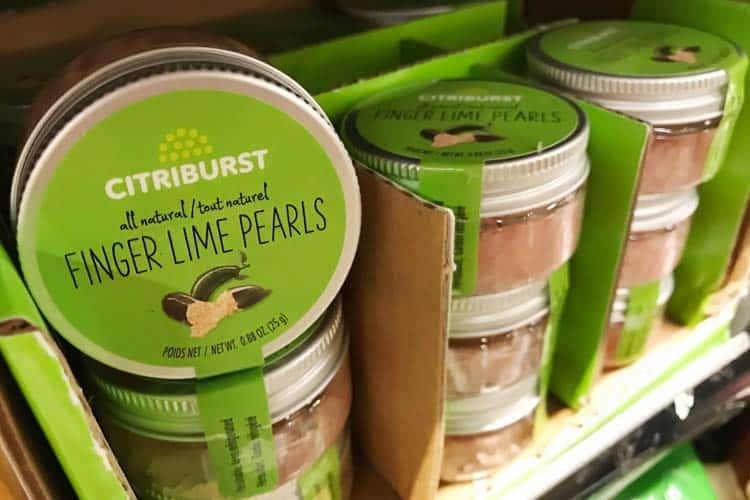 As a dessert topping, you can use Australian finger limes as a lip-puckering flavor burst to complement the sweetness of ice cream, chia pudding, and cheesecake. 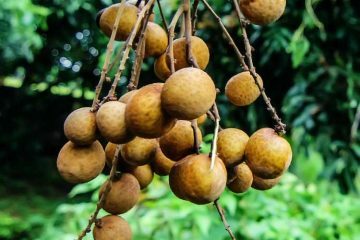 You don’t want to cook with these fruits, because heat can cause them to burst. Add them in after cooking. Entrees of pasta, rice, and seafood, as well as hors d’oeuvres, can all be augmented with a sprinkling of finger lime. They will also serve as quite the conversation starter, when added to alcoholic and non-alcoholic cocktails. A finger lime mojito recipe is basically the concept of having little balls float inside. 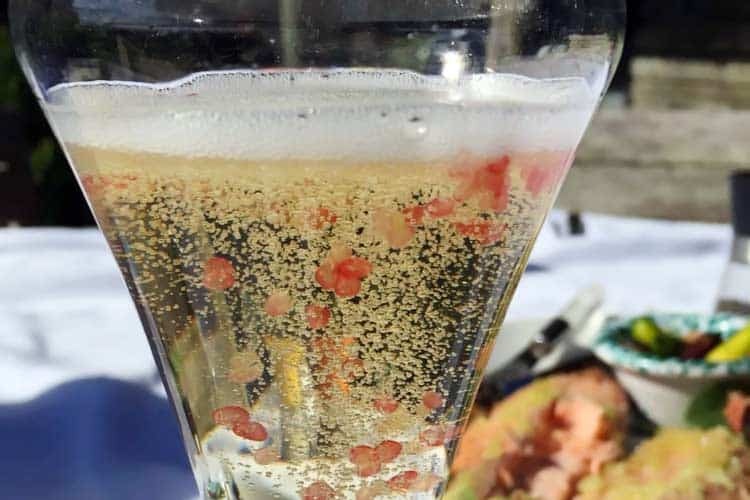 Some fine dining establishments in Australia are even using them in champagne, as seen above. 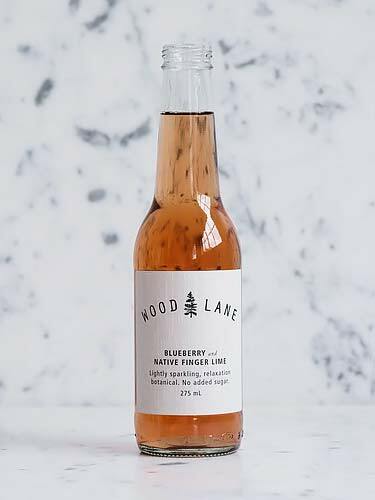 While not yet available in America, down under the brand Wood Lane makes a non-alcoholic soda that uses them as a starring ingredient… Blueberry & Native Finger Lime. 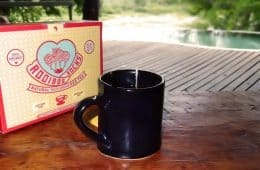 With no sugar added, it’s undeniably better for you than a Pepsi! Whatever their use, many refer to them as vegan caviar because they look like the real thing. No, not the uber-expensive beluga sturgeon caviar. Those are black and tiny. 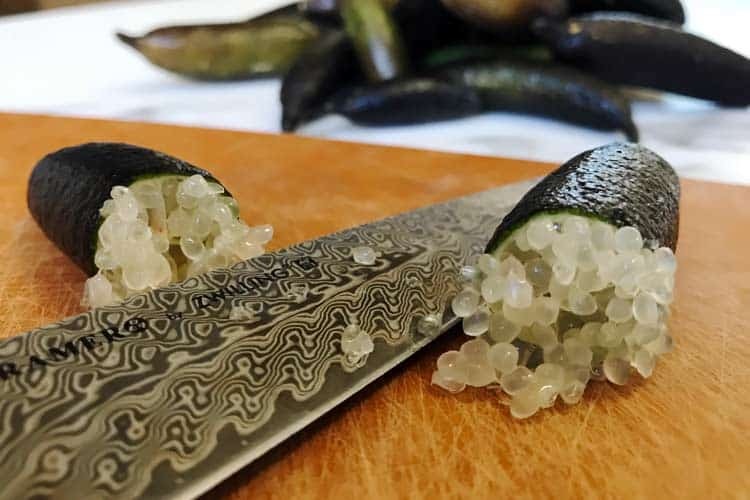 If you compare finger limes to a roe of salmon or trout eggs, which are pinkish-orange in color, it can be hard to differentiate between the two. At least visually, because their size, shape, and texture are practically identical. And yes, these limes may be expensive, but they’re never as egregious as the cost of real fish eggs. They won’t be as bad for your wallet and may even offer you more in terms of nutrition. There are around 225,000 food entries in the USDA National Nutrient Database, but you won’t find this one. As with other unrefined fruits and vegetables, retailers aren’t required to provide nutritional values. Fortunately there is a produce supplier who has tested and published the data. For comparison, the average apple is 70-100g (2.5 to 3.5 oz). Finger limes are only 15 calories per 2 oz serving, which means an apple-sized portion is just 25 calories with 2g of sugar. You would also be getting 16% of your daily value for fiber and 50% for vitamin C. Sounds like a perfect food for weight loss! For a 100g (3.5 oz) amount, green finger lime have an ORAC of 4,590. Pink finger lime are even higher at 6,510. 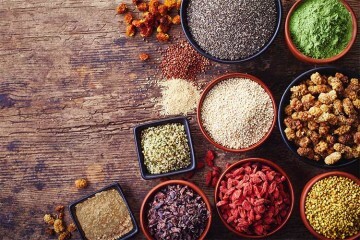 Both have higher antioxidant content than dried and fresh goji berries, which are 3,290 and 4,310, respectively. Conventionally grown blueberries are lower too, with an ORAC value of 4,669 for the same weight. This is a pleasant surprise, as finger limes have over 3x the antioxidants versus other citrus fruits. Oranges average 2,103, tangerines are 1,627, lemons with peels removed are 1,346 and regular limes are lowest at just 82 for their ORAC. That means the fingered variety are giving you over 50x the concentration of antioxidants as a normal lime! 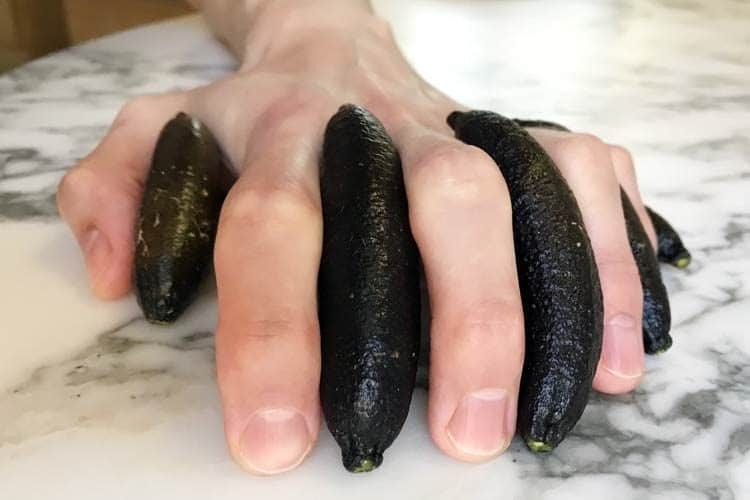 As to what health benefits exist for these lime fingers is unknown. 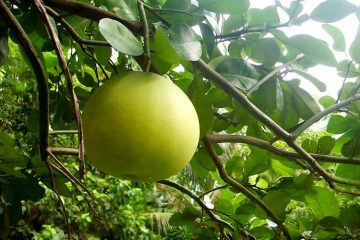 Searching the nearly 30 million pieces of medical literature in the PubMed database will only yield 2 results for the Citrus australasia plant. Anyone who may be interested in studying its essential oil should give California-based Shanley Farms a call at (805) 323-6525. 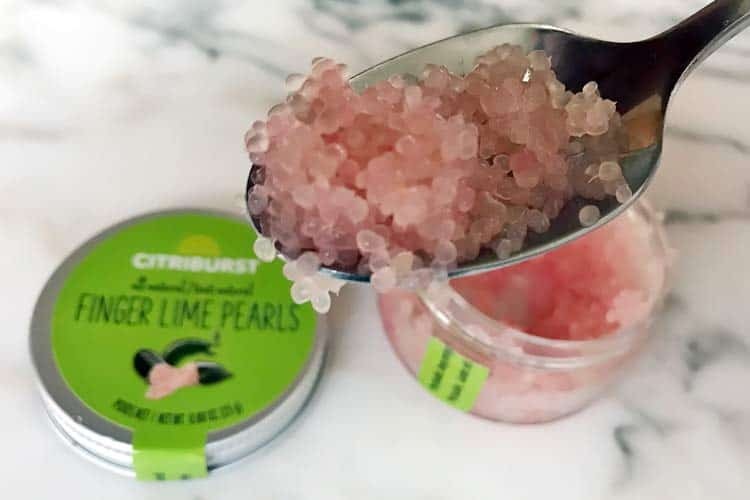 The confirmed by email with us that they can sell the rinds separately, because they’re a byproduct of the citrus caviar they sell at grocery stores (more on that below). They’re called “native finger lime” in Australia, but they’re certainly not native to America. Only recently introduced, this is not exactly the type of tree you can run over to Home Depot and buy. 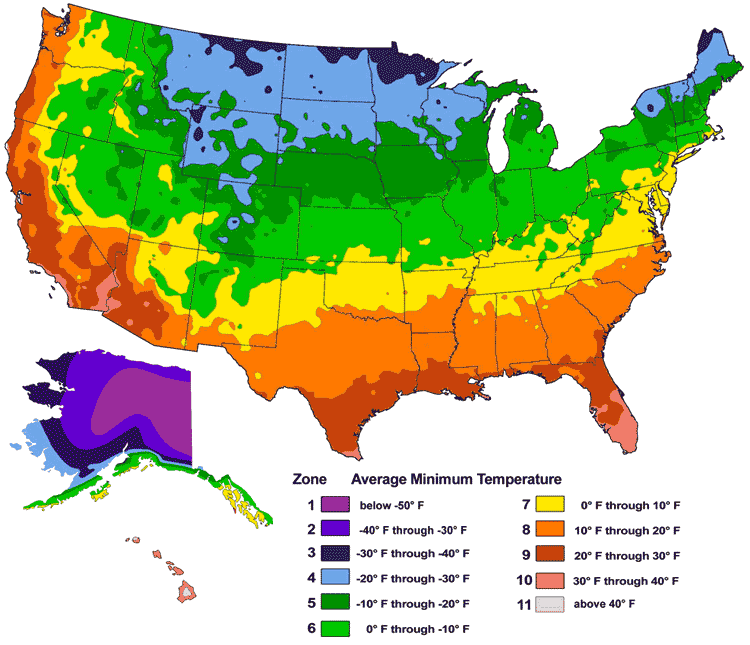 Their USDA hardiness growing zone is 10, which as you see from the map, means that you can’t have the trees outdoors other than in southern Florida, Texas and coastal California, from San Diego to Los Angeles. 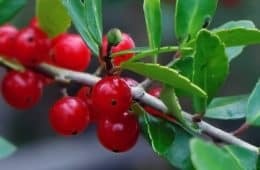 As luck would have it, the online and mail-order nurseries in the United States that carry seedlings and small finger lime trees have blatant warnings that they will not ship to CA, AZ, and FL due to agricultural rules. The two we checked with, One Green World and Pearson Ranch, both had this policy. Of course in any other state, your climate will likely be too cold to grow them outside year-round. Indoors is another option. Since they normally grow within the canopy of a rainforest, they don’t need full sunlight, but they will grow faster with it. They’re self-fertile, so one tree works for pollination, as long as you brush the pollen from flower to flower. If you are able to buy a finger lime tree, it should bear fruit in as little as 2 years. The seeds will take longer. We can’t vouch for how easy or not they are to grow, however you can buy finger lime seeds on Amazon and read the reviews. If you’re like us, you probably don’t have the patience, time, or inclination to start a citrus grove inside or outside your home. Fortunately, more stores are starting to sell finger lime fruit. They were in the produce section, in the refrigerated case. Yes, they are 100% fresh. 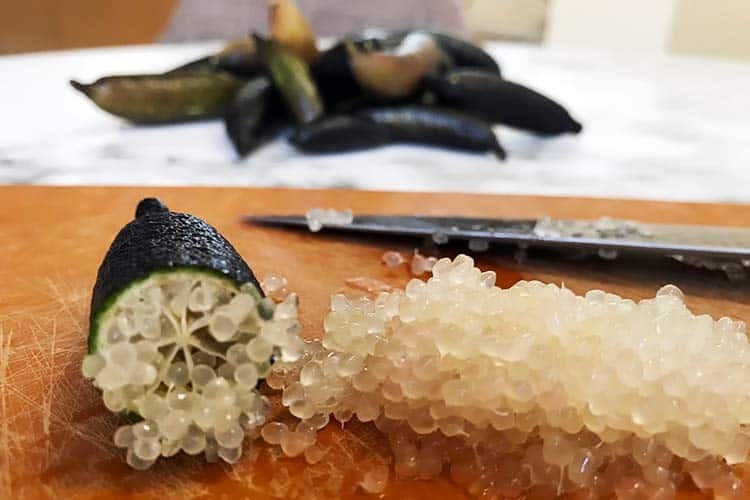 The difference is that Shanley Farms, out of Morro Bay in California, came up with an ingenious way to sell them; remove the rinds and just sell the edible pearls AKA the vegan caviar. Since you only eat the pearls and not the hard skin, it saves you some prep work. 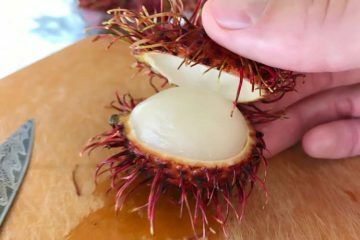 Since they’re less likely to get damaged like fresh fruit, grocery stores that are hesitant to carry something exotic like this species may be more open to trying them out in jars. Since the jarred pearls have to be refrigerated, you can’t buy these online. Have no worries though, because they can ship their fresh and whole citriburst finger limes direct to your door for a very reasonable price. In fact, we used their produce to take the photos you see in this article. 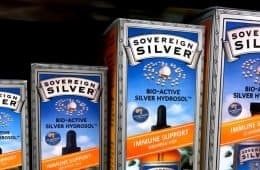 If you live in the US, you can conveniently order them on Amazon from Shanley Farms. 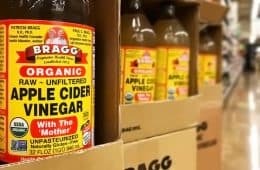 If you store them in the fridge after arrival, they should have a shelf life of up to 3 or 4 weeks. 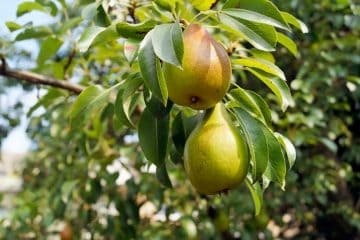 They have to be picked ripe, because they won’t ripen after off the tree. 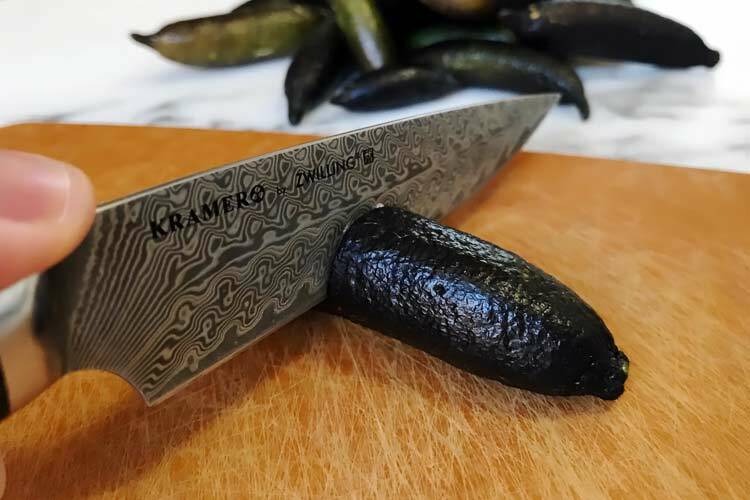 You know finger limes are ripe when they change to their final color, which is darker, and can be easily plucked from the branches without much force. Shanley reports the growing season as July through January. 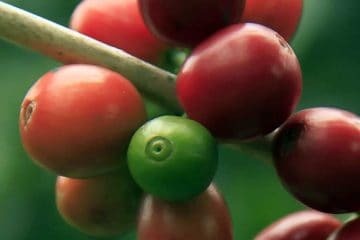 In the southern hemisphere, as a native crop in Australia, its harvest is merely 8 weeks long, from April to late May. 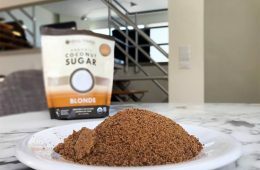 As people become more aware of this truly new superfood, we expect availability to span the calendar, as there are greenhouse growing solutions that could come to fruition if there is the demand to support it.